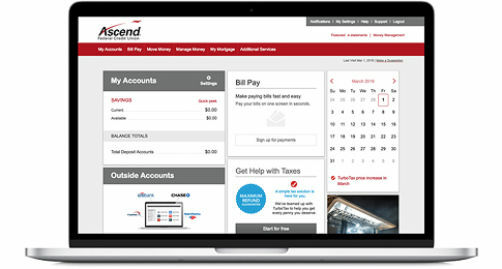 With Ascend's mobile app, you can use your smartphone to deposit checks, transfer funds, check your balance, and much more. 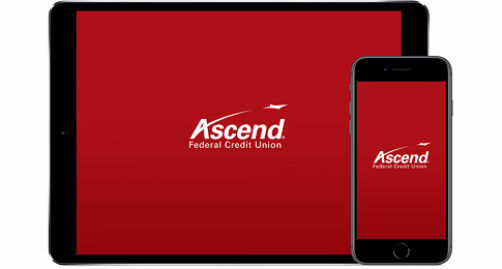 Download the Ascend mobile app from the app store of your choice. Be sure to sign up for online banking in order to use the app. In order to use our mobile app, you'll need to sign up for online banking. Signing up is easy — just click below. To register for mobile deposit, simply login through our app, select the Deposit tab and read and accept the terms and conditions. You should receive an email notification detailing whether your request was approved or denied. When I use mobile deposit, are funds applied to my account immediately? It may take up to 24 hours for funds to appear in your account. Deposits made after-hours, on a weekend or holiday will not be processed until the next business day. How do I enable the camera on my iPhone or iPad? Click Settings, the app name, Privacy, Enable the camera, then close the app and try again. Are there limits to the amount I can deposit? The credit union establishes mobile deposit limits based on account activity. If your registration is approved, your established limit will be included in the approval email. What are the requirements to qualify for mobile deposit? Members must have a checking account. If the account is in the name of a minor, there must be an adult joint owner on all sub-shares (savings, checking, Christmas Club, etc. ).